This course is designed to provide participants with an understanding of the system by which regulations are created. After taking this course, participants will better understand how regulations are made and why regulatory frameworks are important. Emphasis will be placed on the steps in the process and understanding the gravity and relevance of each. Topics also covered will include the role of various stakeholders and government entities in the creation of regulations, judicial review of regulatory decisions, how to find information, and how individuals and companies can effectively participate in the process. This is offered as an introductory course although some advanced topics will be presented. Some prior experience with state or federal regulations is helpful. Health, safety, and environmental professionals looking to improve their understanding of the U.S. regulatory system and their ability to effectively participate in the process. Mr. Sarvadi joined Keller and Heckman in 1990 where he practices in the areas of occupational health and safety, toxic substance management, pesticide regulation, employment law, and product safety. 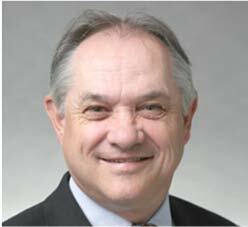 Prior to that he was an industrial hygienist for 15 years and became a Certified Industrial Hygienist in 1978. He was also a principal in a small consulting firm, and managed a corporate industrial hygiene and product safety program for a Fortune 500 company. Mr. Sarvadi was selected by the National Academy of Sciences to participate in a panel of the Institute of Medicine that was asked to review a study by the National Institute for Occupational Safety and Health on the use of respirators in the U.S.
Mr. Halprin joined Keller and Heckman in 1978 where he is nationally recognized for his work in the areas of occupational safety and health, and chemical regulation, at the federal and state levels. His occupational safety and health practice covers all aspects of legal advocacy, including: legislative reform and oversight; participation in OSHA, NIOSH and MSHA rulemakings and stakeholders processes; participation in the development of national consensus standards under the ANSI process, and TLVs under the ACGIH process; bringing and intervening in pre-enforcement challenges to final OSHA rules; providing compliance counseling and training; conducting incident investigations, compliance audits and program reviews; representing clients in OSHA investigations; and defending clients in OSHA and MSHA enforcement actions. Mr. de la Cruz joined Keller and Heckman in 1980. Mr. de la Cruz has over 25 years of experience advising clients on antitrust, trade association and regulatory matters. His focus is on chemical regulations, compliance strategies for environmental regulations and product stewardship. His areas of emphasis include statutes on air quality and toxic substance, and occupational safety and health. Mr. Rath is a trial and appellate attorney with experience in general commercial litigation, wage and hour and class action litigation, occupational safety and health (OSHA) law, labor law, and employment law. Mr. Rath has counseled clients in accessibility and other ADA matters and represented them in accessibility related litigation. Ms. Thompson joined Keller and Heckman as an associate in 2011. She practices in the areas of litigation, labor and employment law, occupational safety and health, and pesticide regulation.